Metallica "Death Magnetic" - Vinyl sounds better than CD. But not much. The vinyl LPs of "DeathMagnetic" sound better than the CD release. Not by a huge margin - they were clearly made from the same, heavily distorted original mixes, but despite this they sound a little more real, more dynamic, more spacious and (yes, really!) more exciting. That's the good news. The bad news is that the difference isn't that huge, and not all the tracks sound much better - there is more difference on some than on others. And also, the versions I listened to are the $100 5-LP set. So not only do you need a turntable to listen to them, but they aren't cheap. Did the CD mastering actually make the sound worse ? Of course "worse" is a subjective term, but I'll explain what I'm hearing in more detail below. The mix - hard, raw, dry, with very litle reverb. This is Rick Rubin's signature sound on this kind of material, and undoubtedly is the way the band wanted the album to sound. Even the "Guitar Hero" mix that many fans prefer shares this sound. Distortion - the CD release is massively distorted, especially the drums and the bass. This harsh type of distortion is made by a process known as "clipping" - in this case it sounds like analogue or "soft" clipping, probably from overdriving valve circuitry, channels on the mixing desk or similar. This distortion is mostly absent from the "Guitar Hero" mix, but mastering engineer Ted Jensen's claims the "artistic" decision to make the record sound like this happened at the mixing stage. Digital clipping - caused by lifting a digital signal above it's theoretical maximum level. Although it is also a form of distortion, on a record this distorted to begin with, it's debatable whether this would actually be audible as such - it tends to have a more thin, "fizzy" quality which is probably mostly masked by the crunchier, cracklier analogue distortion discussed above. However it has other effects on the sound - in small quantities it can allow additional level boosts without major distortion and loss of punch. If overdone though, or used on signals that are already very loud, it can actually have exactly the opposite effect. Unlike the mix and analogue distortion, it's not possible to know with any certainty whether this clipping occurred at the mix, master or both. Or rather, it wasn't possible (for me, at least) until now. Why listen to the vinyl ? There has been discussion from the outset on the Metallica forums and elsewhere that perhaps the vinyl release would sound better than the CD. This doesn't rely on any purist audiophile belief that vinyl is better per se, but simply stems from the fact that vinyl releases are typically mastered separately from the CD versions, partly to take into account the pros and cons of each format, and partly because engineers often specialise. This last possibility was the one that had the fans really excited, but it was quickly established that it wasn't the case - the crackly analogue-sounding distortion was on the vinyl, too. At this point most people lost interest, and in fact many commented bitterly on the fact that the much-touted "audiophile" release, pressed on limited edition heavy vinyl at 45rpm for the best possible quality, suffered all the problems of the vanilla CD. However as time went on, several people started saying that the vinyl was better in some ways, even though the distortion was still there. One chose to send me a couple of high-quality FLAC extracts to listen to, to get my opinion of them. How does the vinyl sound ? After loading them up to ProTools, instantly I could hear a difference, even though I was just listening at home on headphones. Both were crunchy and distorted, but the vinyl version had more "punch", more weight in the drums, and the bass was clearer and more defined - even though the mix overall had less bottom end in it, the notes were more clearly audible. This was especially obvious during the more "full-on" sections, where the CD version suffered noticeably in comparison. After listening a little longer, I found I had a strong preference for the vinyl version. Returning to "The Day That Never Comes", I can hear the same difference, and draw the same conclusions, although the distortion from the original mix is so extreme it doesn't jump out at you in quite the same way. In comparison the CD sounds flat and lifeless. I'm still not keen on the distortion, but of the two versions I would choose the vinyl to listen to. Waveforms aren't proof in cases like these - there are lots of reasons the vinyl might look different. In fact though, they are remarkably similar. Having looked at the waveforms of the CD before, I was pretty sure of what I would find, but zooming in on the waveform confirmed my suspicions. The upper (CD) waveform is digitally clipped or "squared off", as expected, but the unexpected part is the vinyl version - it's a very unusual, unnatural shape because of the distortion, but it's not squared off. This explains why the vinyl sounds better - although harsh, the analogue distortion hasn't completely removed all the remaining dynamics. Extreme digital clipping of this kind on the other hand, where the whole wave becomes almost square, obliterates pitch information - the ear can't resolve the original fundamental or it's harmonics. Impact and punch are lost, too - the result sounds two-dimensional and plastic in comparison. Some people on the Metallica forums expressed the opinion that the extra "peak" information on the vinyl didn't represent "real" musical information, simply the inherent difference in the format. Initially, I was inclined to agree, but after doing these listening tests myself I don't agree - the vinyl is less clipped than the CD and sounds better as a result. Put another way: True, we are only talking about 3-4 dB extra dynamic range. But most of the CD tracks have a "loudness range" of only 3dB RMS anyway. So the vinyl has roughly twice the loudness range of the CD. The question is who, and why ? The RMS measurement of of the vinyl version is -8.5, which is right at the top end of the loudest you can go without damaging the sound, and it already has the harsh, aggressive, distorted sound it seems that Rick Rubin wanted. So as a mastering engineer, I would see no reason to boost it further - simply balancing the EQ and levels of the tracks would be fine, and I'm sure Ted Jensen would have the same opinion. So, were the files supplied to Sterling Sound already clipped ? Ted says they were "already brickwalled" - does he mean in a digital sense, as well as the analogue distortion ? Or, was he pushed to make the CDs even louder than the mixes, to the detriment of the sound ? He says he "would never be pushed to overdrive things as far as they are here". In which case, were the files that were supplied for CD mastering clipped more than the ones used for the vinyl ? If so, why ? There seems to be no logical reason for doing that, at all. Perhaps new, cleaner files were supplied for the vinyl cut in response to the unfavourable public reaction to the CDs ? Either way, it's a shame the CDs ended up this way - the clipping isn't enough on it's own to ruin the music, but in my opinion in the unfortunate case of "Death Magnetic", it really is the straw that breaks the camel's back. Now, I wonder what the downloadable mp3 versions sound like...! Vinyl almost always sounds better than CDs so I'm not surprised by your subjective and then objective findings, though vinyl on an objective measurable basis, is seriously deficient in many ways compared to the so-called "perfection" of CD specs. I hate the sound of CDs and have since the first one I heard at an AES convention in L.A. at the Saint Bonaventure Hotel back in 1982 or so. It was a Sony presentation on a refrigerator-sized CD player. They had transferred Roxy Music's "Avalon"--one of my favorites and an album I knew very well from various vinyl pressings. The CD sounded shrill, hard, edgy, bleached of depth and harmonic structure and just plain awful. I remember saying to myself "man this is bad, but it's a start and as with any new tech it will take time to get right." But when the music ended the clueless started oohing and awing and saying how great this sonic swill had sounded. I knew then that audio and good sound was in big trouble if something so vile-sounding could be met with such enthusiasm. So I literally vowed to fight the compact disc's introduction and at the same time I vowed to fight for vinyl's survival. Mission one, not accomplished. CDs took over and with their repellent sound and crappy packaging have managed to ruin music. No one listens anymore..it's all background. The excuses keep coming about distractions from video games, and TV etc. but the real reason people don't sit down, turn out the lights and listen anymore is that CDs are really pretty much unlistenable. They're hearable, but not really listenable. Hardly surprising since even today CDs are not particularly listener-friendly. They're boring sounding, even the best of them. BUT vinyl's made a healthy comeback because kids brought up on CDs and worse, MP3s, when they hear a record it's like seeing HDTV for the first time. Most kids now KNOW vinyl sounds better for whatever reasons. It's all signal processing in the end and there's something about what's in those grooves that created magic in the '60s and does once again in the 21st Century. So I lost one and I won one.....I'm Michael Fremer senior contributing editor, Stereophile and I approve of this message. Staying on track with my Loudness War theme though, the advantage in this case at least of the vinyl versions has nothing to do with the medium itself, rather that the music on it has simply been better treated than the CD version. In the end I believe that great sound is what matters, and I think it's possible in all those formats - they all have advantages and disadvantages, to each man his own. There's a reason why Vinyl sounds better than CD. It's not because of the medium, it's because production practices have changed since the time CDs came in. It's ironic isn't it? When CDs came in every one was like, wow, even more dynamic range, totally clean sound, BRILLIANT! But, since the 90's, the loudness war began, and the result was that CDs, which can have more dynamic range than vinyls, don't, while vinyls, which have a set of pretty severe limitations, have greater dynamic range. that's a preview I wrote for the album. Honestly, it sounds HORRIBLE, and that's an understatement. But then, that's what albums sound liek these days, and I've pretty much resigned myself to listening to old music for the rest of my life, or the occasional chesky or windham hill release. But the real tragedy is that they're now doing it to classic albums as well. I am bloody scared of picking up any CD of a classic album that has the ubiquitous "DIGITALLY REMASTERED" label on it. What that actually means is that the original signal has been maximised with some thing like a mstering compressor, and all the dynamics is gone. Case in point, Pink Floyd's Dark Side Of The Moon. I have the album on 4 formats, vinyl, the 1997 remaster, the SACD and the Box Set (Oh By The Way) remaster. My favourite is the 1997 remaster, which leaves the Vinyl sound almost untouched. The latest release, the box set remaster, uses a mastering compressor on the mix, with the result that a song like Money, which goes from quiet to very loud, loses all dynamics, and the drums look, and sound totally saturated. I mean I can still understand, albiet not condone, new music being produced this way, but whyanyone in their right minds would do this to classic albums is just beyond me. Remember how Tommy Lee Jones says in No Country For Old Men says that it takes extreme events for people these days to sit up and take notice? This is that extreme example. This has been happening for quite a while, and no one has been saying anything. Recording engineers are compressing their mixes harder and harder all the time, for no good reason. When we get them, there is no way to un-do the damage. I have been working in a radio station in Calcutta, India for the last 6 years, and if there's one thing I know for sure, it's that loud songs DO NOT SOUND LOUD ON RADIO. So let's get that idiotic excuse out of the way. All radio stations have their own compressors which keep overall levels at the same level, which means a track mastered very loud, will sound soft and distorted on radio. As a parting shot, if anyone is interested in a more decent sounding and totally illegal version of Death Magnetic, there are loss-less flac transfers of the Guitar Hero 3 version out there on the torrent networks, seek and ye shall find! I have nothing to say on the technical side, since I'm not an audiophile in the technical sense. However, you claim the vinyl release may have been a response to the negative reaction to the CD version. I hate to tell you, the releases were shipped together, as I received my 5 vinyl DM the day of the album's release. Unless people who received pre-release versions of the CD complained, no one had time to complain to have this change in sound on the vinyl be a result of complaints on the fan side. This is Metallica! They don't care what their fans think, so long as they keep buying albums and attending concerts so they make more and more money. Wow, Ian. You certainly have more listening experience than I do - after all, you're a mastering engineer, and I'm not - and I'm not disputing your listening experience of the needledrops, but I disagree with almost every technical point in the post. Are you sure the bass content on the LP is weaker? I've observed that the LP is 5-10db higher than the CD at frequencies from 20hz to 100hz. (Measured with 0.1s windows that are 1/2 overlapped, L+R/L-R summing, FFT content averaged across the whole of "That Was Just Your Life" - 45rpm version was level-, sample- and speed-matched to CD version.) Your evaluation of the bottom end seems to corroborate this. So your observation of the lack of low end on the 45s is puzzling. How did you measure it? Of course, there are different rips floating around, and maybe you found a different one. I dunno. "Vinyl releases are typically mastered separately from the CD versions". This is not nearly as true as often as one would think. Certainly a mastering engineer is always required at some stage of making a record, but examples certainly exist of said mastering engineers receiving the hypercompressed digital masters and cutting those to the lacquer, and having those records play just fine. In my experience, all of my Warp Records vinyl matches the equivalent CDs very, very closely on dynamics and clipping. I will say that my LP of Battles's Mirrored has slightly less clipping than the CD, but SRSLY, with the vinyl still clipping a lot, that's splitting hairs! It's a myth that vinyl intrinsically does not allow the kind of hypercompression that can go on CD. All that is necessary is to add some more distortion to shoehorn the signal onto the groove - by reducing the modulation level (increasing noise), or using a HF limiter, or an elliptical filter, or what have you. But it's quite a stretch to believe that, regardless of the incoming mix, this processing yields a superior product! And yet your comments about "the analogue distortion hasn't completely removed all the remaining dynamics" seems to follow that logic. Your very own screenshot seems to show that the length of the clipping is the same between the vinyl and the CD appears to be the same. Who cares that the peaks seem higher on the vinyl? The length of the clipping is the same, and that is the real measure of the amount of clipping in each master. Not the peaks. Who cares if the lines on the vinyl are skewed or not? The peaks are gone. Kaput. And nothing in the analog domain will ever bring them back - perhaps it will improve the quality of the sound, but how could one claim that adding distortion to hide other distortion results in a superior product? The fact that the clipping on the vinyl is not squared-off has nothing to do with the mastering. More rhetorically: How many record labels care enough about sound quality to pay for a brand new master for the vinyl release? And if they do, how many of them wouldn't trumpet the alternative master to high heaven (as was done with Icky Thump and Mudcrutch, and is typically not done with every other vinyl release in existence)? How many people believe that just because something is cut to vinyl, it will automatically sound better, so it's no use making a better master for vinyl? How many producers believe that listeners couldn't tell the difference anyway between a vinyl master matchingt the CD and one with increased dynamics? Regarding the issue of clipping and peaks: You're also ignoring that many distortion effects on vinyl can artificially raise the peak levels and skew flat clipping lines. * The many sources of phase error in the analog processes in recording and playback can shift low frequencies differently from high frequencies - I think this is the real reason the clipping isn't neatly flat; look at how on some parts of the needledrop, how the clipped sections are neatly "grafted" onto a nearby low frequency tone. Of course, this can also artificially raise peaks by a significant amount. * Raised treble (of the kind perhaps endemic to many moving magnet and moving coil cartridges) can increase the amplitude of transient content. * Tracking distortion, tracing distortion, groove damage, or mistracking can all increase peaks. * Rumble (even just the arm-cartridge resonance) can increase peaks. * Hell, even dumb-simple frequency response deviations can increase peaks, and of course those are plenty here - the overall response above 100hz is +-2db. Did you investigate or try to correct for any of these issues? If not, how could you safely make any conclusion about the quality of the vinyl mastering based on the peak content? If the vinyl mastering engineer just wired the CD to the cutterhead and pressed "play" he'd probably get 3-4db higher peak-to-average ratio. In short, all evidence so far points to the 45rpm masters (and almost certainly the 33rpm masters) suffering from the same clipping as the CD. I think you, in common with many readers of my blog, infer from the technical language and presentation that I assess things in a very technical way. That's it. I listened, drew my conclusions (the CD sounds more clipped) looked at the waveforms (the CD IS more clipped) and then I wrote my post. In this case, I can still hear EQ and dynamic differences between the two, but they are vastly decreased. 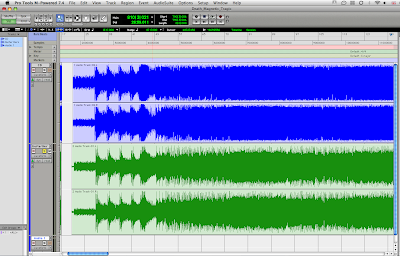 Clipping the vinyl causes all the negative effects I levelled at the CD originally. Now - a challenge. EQ, compress, expand, enhance or do whatever you need to to the CD to make it sound as punchy, crisp and dynamic as the vinyl. You won't be able to. I can't. And neither would a cutting lathe, imnsho ! > Are you sure the bass content on the LP is weaker? No. Fair comment - it's more accurate to say that the energy is distributed differently. The vinyl has more focused, dynamic punch in the very LF, as you say, whereas the CD has more mushy, flabby stuff around 100 Hz. Subjectively I describe that as sounding bassier. The vinyl sounds lean, mean and tight in comparison. Ah, the perils of using words to describe sound ! Fair comment. In this case however I'm certain they were mastered independently, but it's true that nowadays the cutting engineer often works from a CD master. HOWEVER my point is, this is somewhere that differences can be introduced. Given a fairly dynamic CD master, a cutting engineer could choose to compress the hell out of it, for example. > It's a myth that vinyl intrinsically does not allow the kind of hypercompression that can go on CD. Fair enough, but I didn't say that. > it's quite a stretch to believe that, regardless of the incoming mix, this processing yields a superior product! I agree, and I didn't say that either. All I'm saying is that the CD has been clipped more than the vinyl version, and sounds worse as a result. > Who cares that the peaks seem higher on the vinyl? The length of the clipping is the same, and that is the real measure of the amount of clipping in each master. Not the peaks. Who cares if the lines on the vinyl are skewed or not? The peaks are gone. Kaput. And nothing in the analog domain will ever bring them back - perhaps it will improve the quality of the sound, but how could one claim that adding distortion to hide other distortion results in a superior product? The fact that the clipping on the vinyl is not squared-off has nothing to do with the mastering. > How many record labels care enough about sound quality to pay for a brand new master for the vinyl release? Not many but the cutting engineer always has the option to make further changes - or, possibly in this case perhaps, fewer. > Regarding the issue of clipping and peaks: You're also ignoring that many distortion effects on vinyl can artificially raise the peak levels and skew flat clipping lines. > Did you investigate or try to correct for any of these issues? No - I just listened. > If not, how could you safely make any conclusion about the quality of the vinyl mastering based on the peak content? If the vinyl mastering engineer just wired the CD to the cutterhead and pressed "play" he'd probably get 3-4db higher peak-to-average ratio. I disagree. But even if you're right, I don't think it would sound substantially better. > In short, all evidence so far points to the 45rpm masters (and almost certainly the 33rpm masters) suffering from the same clipping as the CD. NO. You are being blinded by what you see, and ignoring what you might be able to hear if you listened. Just in case I'm still not being clear - I'm not suggesting that the vinyl mastering, or the format, have magically made the mix sound better. I'm suggesting that the original mix sounded better (like the vinyl) and at some stage the CD version was clipped but the vinyl version wasn't, which has made it sound worse. @Books - thanks, that's very useful to know. Ian: I apologize for the didactic/emotional tone in my post. As you clearly state, we're in agreement much more than I realized. > Now - a challenge. I admit that I do not have a good explanation for what you are hearing (where the vinyl sound superior to the CD). Yet. That said, I still have a hard time understanding how a difference could occur between the mixes supplied to CD/LP mastering (as you describe), when it appears that the clipping lengths are the same. My best guess as to what's going on is that an allpass distortion/filter/etc exists in the vinyl signal chain that does not exist in the digital chain. That could explain the reduced harshness of the vinyl and the sloping clipping of the vinyl. That's just a conjecture at this point, although I will endeavor to find evidence for it. I've never heard of an allpass filter being used during vinyl mastering, although it might make sense to use one to manipulate the peak content to a form more suitable for the format. An allpass would not explain what you are hearing in the bass (unless it's really active below 100hz!) but again, a bass eq there might be worthwhile to try to match. I think they just used a less limited version for the vinyl. I could guess that it was a version of the master before it was pushed another ~3,5 db. If you compare the waveforms of the most saturated parts, you can see that the vinyl contains dynamic information that is not present on the CD. Look at a heavy kick/bass hit that is clipped. On the CD, the peaks in the attack are just as loud as the hit itself. On the vinyl, the hit is louder than the peaks in the attack. That is the information that was removed on the CD version do to the excessive limiting. Ian's description of the sound is exactly what you would expect from a less limited version. I can only guess why they used a different master for the vinyl. Maybe the overall loudness of the vinyl was not that important to them. Maybe the CD version was even problematic and risky for a vinyl transfer. This kind of clipping in the digital domain is very unnatural, the way the waveforms are squared off, so it might be a bit unpredictable for vinyl. Sure vinyl can be compressed too, but in terms of bass energy there are limits. >I admit that I do not have a good >explanation for what you are >hearing (where the vinyl sound >superior to the CD). Yet. There is always one available explanation when a comparison is done as it was here (sighted) -- and that's simple, though perhaps subtle, psychological bias. A more fair comparison would have been to take a CD track and an LP track, match them in level with as closely as possible ('by ear' is probably not good enough, and as Mr. Shepard has seen, simple RMS matching is often insufficient...something that incorporates psychoacoustic factors, such as Replaygain values, might be better), and then present them to the listener WITHOUT telling the listener which source is which beforehand. Then the preference has a better chance of being formed without bias. Of course, it also requires removing any gross tell-tales of LP sourcing, like tics or pops or the sound of a needle dropping. 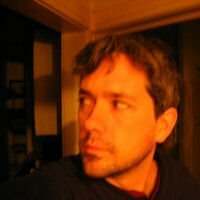 It's a tough test to do fairly, and this point, at the very least, Mr. Shepherd would have to use a track he hasn't already auditioned in his CD/LP sighted A/Bs. I think if you simply took a digital recording of some fairly low-frequency square waves, say around 70-100 Hz, and put one on CD and one on vinyl, you would end up with a somewhat sloped square wave on the vinyl, sounding more like a sawtooth, and less harsh, than the CD, which would maintain the shape exactly. My guess is that's why the clipping sounds better on the vinyl. I once did an experience by recording the sound of my old Philips FW21 stereo into my soundcard and was surprised by the results! I made tests with many brickwalled CDs and observed the same phenomenon as what happened to the DM vinyl vs. its CD version. Each recording was gaining 3 to 5dB of headroom comparing to a straight digital rip of each disc. I thought it was the D/A converter of my stereo at first but this happened with different kind of sources as well, even analog ones (the AUX source for example). And looking closely to the waveforms, parts that were originally squared off on digital rips looked skewed on analog recordings of the same discs played from the FW21. On the listening side and at matched levels, the differences were very subtle to hear. The Philips sound appeared more friendly but it wasn't so obvious to me. Indeed, my FM21 has a graphic equalizer but I set all bands to neutral. Unfortunately I don't have audiophile ears to find diffrences in frequency response. They may were, but my Philips recordings sounded almost as neutral as CD rips (except fading out after 16KHz). This leads me to the hypothesis that the master used for the vinyl version of DM is the same as the one used for the CD. What the vinyl did, due to its analog nature, is adding artificial transient expansion, like my old Philips stereo did. And it's more likely that many stereos actually do this internally when treating the audio (someone may have to try the same thing I did with an old stereo with some brickwalled CD to see how the waveform will look). And the artificial headroom gained might actually be caused by the player itself and not even the vinyl, but I can't really tell that. Of course, I didn't listen to DM (either in vinyl or CD) so I may be wrong. But this is just my hypothesis. 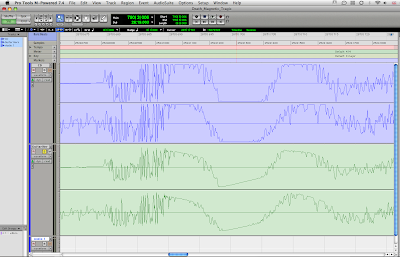 Note that it's now possible to do the same thing digitally using a VST effect called Dominion. It can freely reduce or increase the transient response of any audio signal depending on the setting you choose. And it can sometimes bring very satisfactory results on brickwalled audio because you can go further than what my old Philips stereo does because it seems to act in a smarter way. I hope that comment was too long. Note that I cannot be qualified as an audiophile and I only discovered the loudness war fairly recently. Thanks for the comments, this is certainly an interesting issue. @krabapple, your comment is fair enough, but I'm well-used to assessing when my judgements are affected by bias - and, in this case the difference is too large (and too obvious) to be simply down to that factor alone. Also, for what it's worth, my inclination would be to assume the vinyl would sound worse, since one would assume the best it could achieve would be a good copy of the source, plus a little distortion. a) Not all tracks show this difference. Using "The Day That Never Comes", for example, it is very hard to tell the difference between the vinyl and CD, apart from the slightly "fuzzy" quality in the HF from the vinyl. IF this was simply a result of the differences between the two, I would expect a uniform difference across the board, but this isn't the case. b) Analogue transfers can be much higher quality than most of you are assuming. In general, the waveforms would look very similar, without the gross differences I can see here, and very difficult to tell apart. Even vinyl can sound virtually identical to the source. I have had many opportunities in my career to compare vinyl transfers with the tapes they were made from, and often they are almost indistinguishable. c) The two have been mastered differently, of this there is no doubt. Given all the different variables this might introduce, I accept that different processing might restore some of the waveform shape you can see on the vinyl. In particular though I think this would need different compression settings, since the vinyl sounds less compressed to me, and this is backed up by the waveforms. The LP version of D-Mag may sound better than the CD version, and common consensus seems to have built around that, but it was still unlistenable and unbearable. I don't think I even made it through all four sides before sending the LP back. I may be wrong, but I was under the impression that Kevin Gray at RTI handled the vinyl LP D-Mag. I'm sure he (or whoever was in charge) did the best he could to limit the damage, and at least try to introduce some dynamics into the mix. But this really just resulted in a few chips around the edges of the brick wall. I've listened to some amazing (analog) music on my turntable. I've also heard some hideously terrible ones, and those are always the cheap CD-transfers that so many labels seem content to dump on store shelves. It's clear that the vinyl revival is big enough to notice, but still too small to respect. Most new vinyl records, aside from the very small circle of trusted brands, are just cheap digital dumps. The worst example I've heard to date was Sony's 2007 reissue of Pearl Jam's Ten. It was absolutely terrible, impossible to listen to. Nothing but shrieking sounds, heavy distortion, and an impossibly small sound stage. A quick comparison against my vintage copy of Pearl Jam's Vs record absolutely blew the Sony reissue away. It was an abomination. I think the Death Magnetic LP is at least on par with this Ten re-release. It's nothing but static and foam, like you threw a giant yellow sponge on my wall, in between the speakers. Within seconds, all I could see in my mind's eye was static. It was literally making me dizzy, and I couldn't make it past ten minutes before yanking the record off my turntable. So it may be better than the CD. So what? It's still a train wreck. I came away feeling deeply frustrated and disappointed. I've never heard a Metallica album sound so low-fi, so terrible. The vinyl LP of St. Anger, a criminally-underrated album, sounds quite excellent on my table. In fact, I'd say the LP saves that album, gives it a degree breathing room that the CD version lacks. The "trashcan drums" have a hypnotic ring to them, which works for me. D-Mag? Nope. Forget it. It was one of the worst LPs I've heard to date, and I'm not one of these dumb teenagers that the music business expects to sheepishly buy without question. So what if you can sucker the stupids with "louder" music? It isn't really loud. It's quiet and brittle, an unforgivable crime against heavy rock music. So I cannot recommend D-Mag in any released form. At this point, I don't expect to see a "deluxe" or re-mixed version. Even if Metallica wanted a change, this was the final album in their Warner Bros. contract. The band is now a free agent. My only hope is that awareness would be raised on the loudness wars, enough so that the next Metallica album would preserve the sound quality, and not smash it to bits. I may track down the Guitar Hero mix at some point, but right now I honestly don't care. This is just a poor-sounding mid-life crisis of an album. The band may be happy with it, and so will the '80s fans, but I'm finding myself less and less interested in D-Mag as the days roll on. I've got too much music to listen to. Real music. Not low-fi static. Hmm, seems to me, from the screenshot, that both mediums were sourced from the same master. The clipping is exactly the same. I would guess that it was mastered to a digital medium and from there put out on CD and Vinyl. There are vinyl records store here in our area and I spend most of my free time there. I have lots of collection of vinyl records. Vinyl "sounds better" than digital for one simple reason: the monkey at the mastering controls! compression/brick wall limiting) as that version destined for CD or digital download. much else. Just something to be aware of. DIY Mastering Part 5 - How loud is Too Loud ?